Vine ripened and vibrantly colored heirloom tomatoes are summer’s sweetest and most unique treats. Unlike conventional, mealy tomatoes found in the grocery store year round, heirlooms pop up only for a few sweet weeks in the summer. Here’s how to take advantage of them – right now! 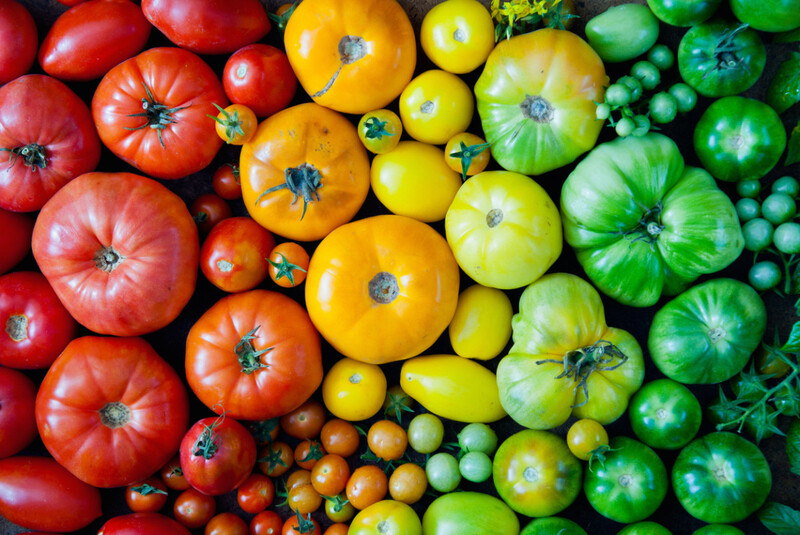 Crowding the farmers market with their unmistakable flashy colors and bulbous shapes and sizes, heirloom tomatoes are summer showstoppers. 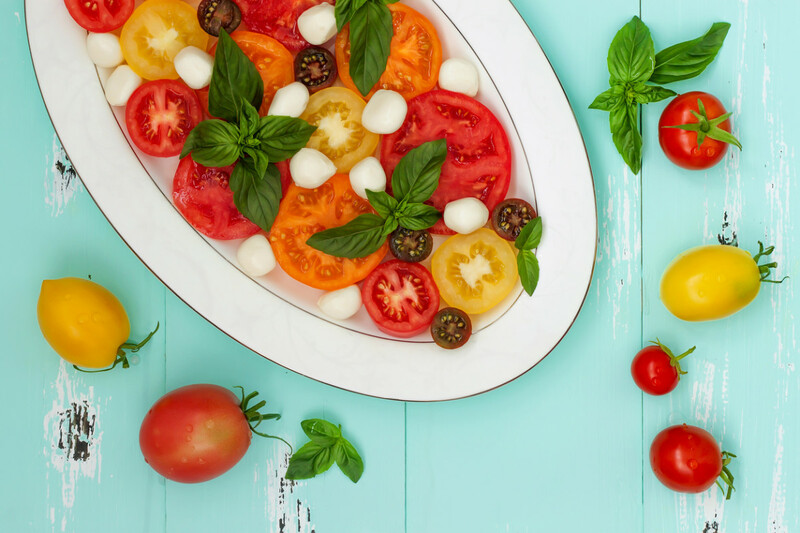 There are hundreds of heirloom tomato varieties grown all over the world, but according to Tomato Fest, Americans have a favorite ten. The most popular heirloom varieties include black cherry, brandywine sudduth’s strain, chocolate stripes, blondkopfchen, black krim, azoychka, amana orange, delicious, brandywine OTV, and Dixie golden giant. With names like these, it’s impossible not to be drawn to tasty heirlooms. 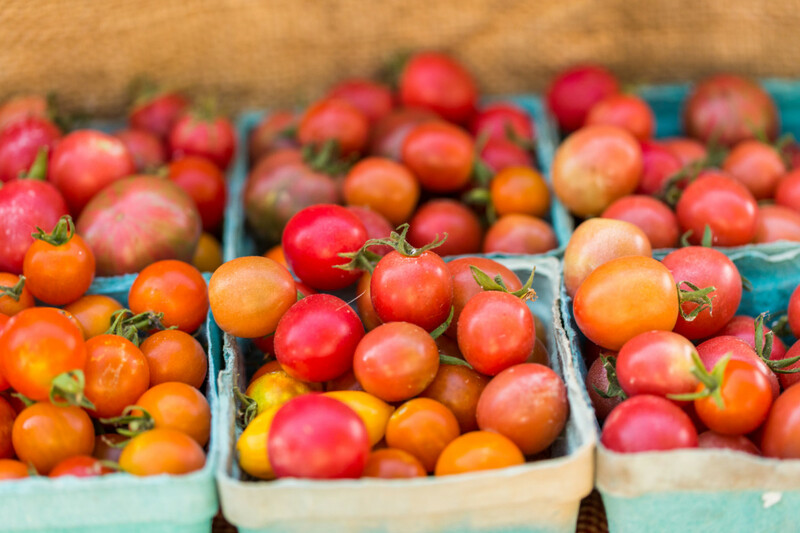 When selecting tomatoes at the farmers market, look for fruit heavy for its size. The heirloom should not have bruises, mushy spots, or any signs of decay. Cracking is normal in heirlooms, and as long as you cannot see the flesh through the crack, they’re safe to eat. Carefully handle heirlooms on their trip home, as they are prone to squishing and bruising. Store heirloom tomatoes on the countertop – not refrigerator – where they will keep fresh for up to four days. 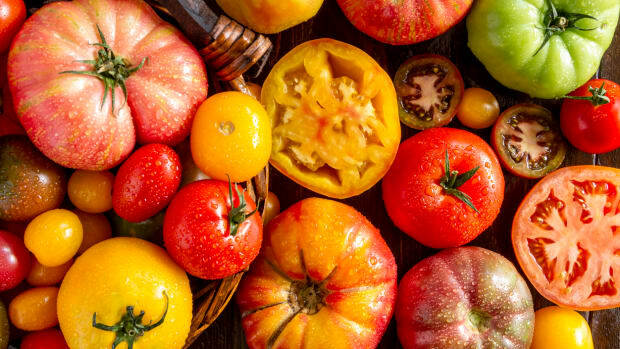 Like all tomatoes, heirloom tomatoes are rich in vitamins, minerals, and antioxidants. 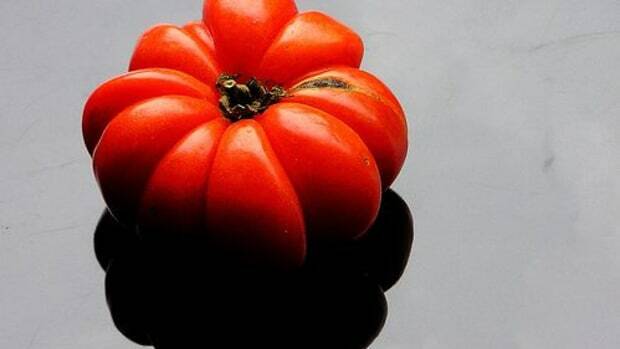 Notably, heirlooms contain iron, potassium, vitamins A and C, a variety of B vitamins, and fiber. All tomato varieties are rich in lycopene, a carotenoid compound responsible for the fruit’s brilliant red and orange colors. 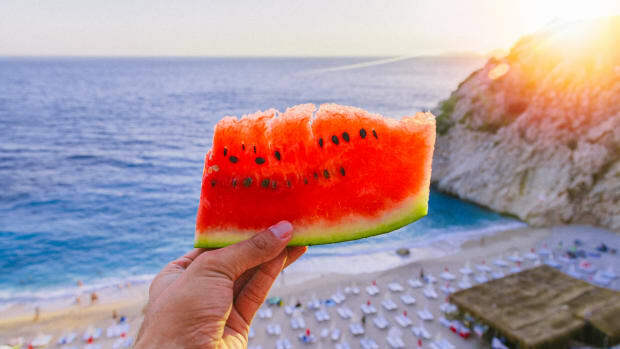 Consumption of lycopene-rich foods is thought to lower the risk of skin cancer, diabetes, cardiovascular disease, and inflammation. 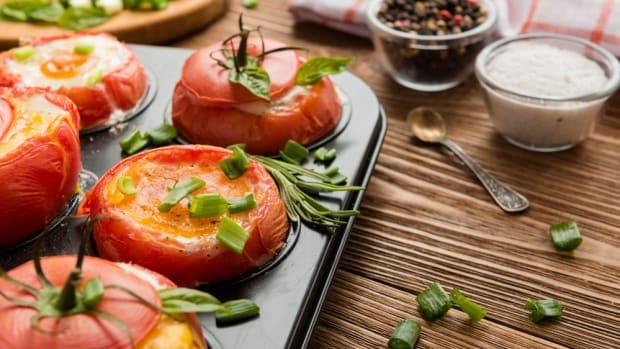 It’s important to note that lycopene bioavailability (or, how easily the body can use a substance) increases once cooked. Lycopene is also more readily available in the body when consumed with a type of fat, particularly olive oil, according to a 2005 study. Raw or cooked, however, heirloom tomatoes are still packed with antioxidants. Slice fresh heirlooms on toast with basil and olive oil. Layer slices of heirloom tomatoes with eggplant, zucchini, and mozzarella (and bake!) for a vegetarian and gluten-free lasagna. Chop and sauté with garlic and spinach to put on pasta. Create a veggie-loaded pizza with heirlooms, mushrooms, onions, and more. Make a refreshing salad with watermelon, heirloom tomatoes, feta cheese, and basil. Drizzle with avocado oil and grill. Add to a burger or sandwich! 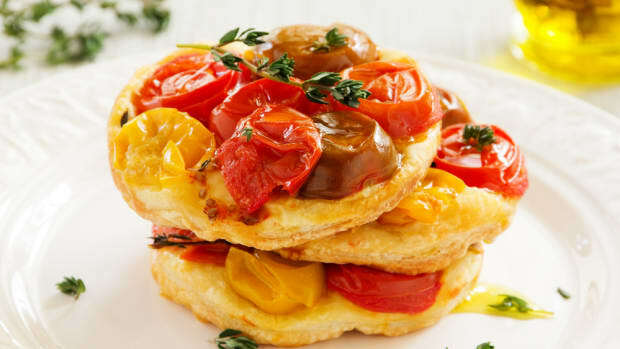 Bake eggs inside heirloom tomatoes and top with arugula pesto. 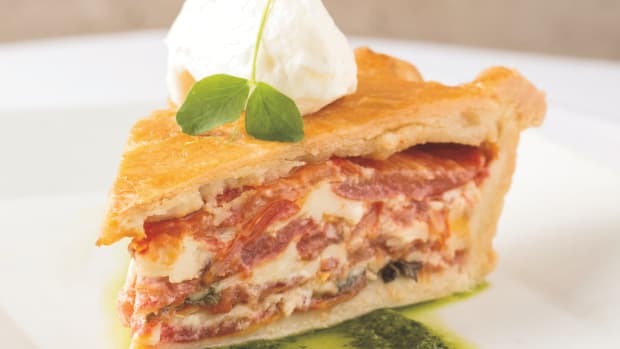 Make an heirloom tomato pie. 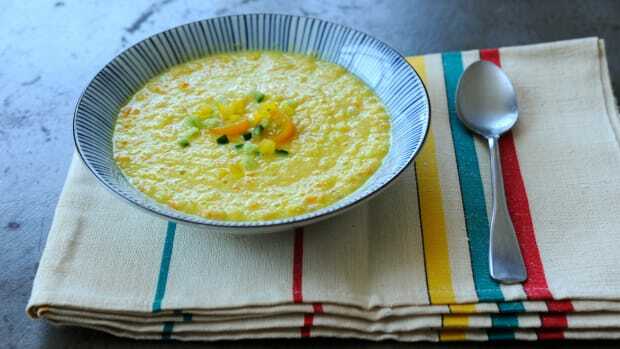 Slice and add to scrambled eggs or an omelet. 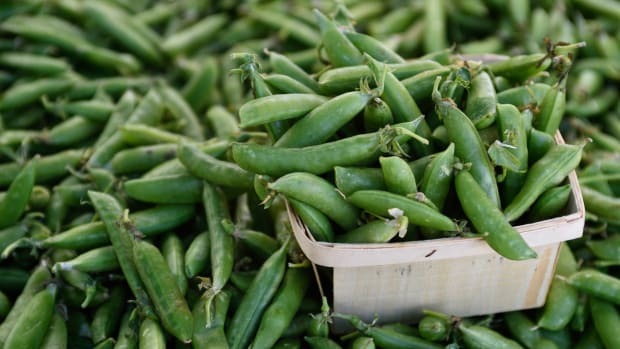 Eat them raw with a sprinkle of sea salt and pepper.